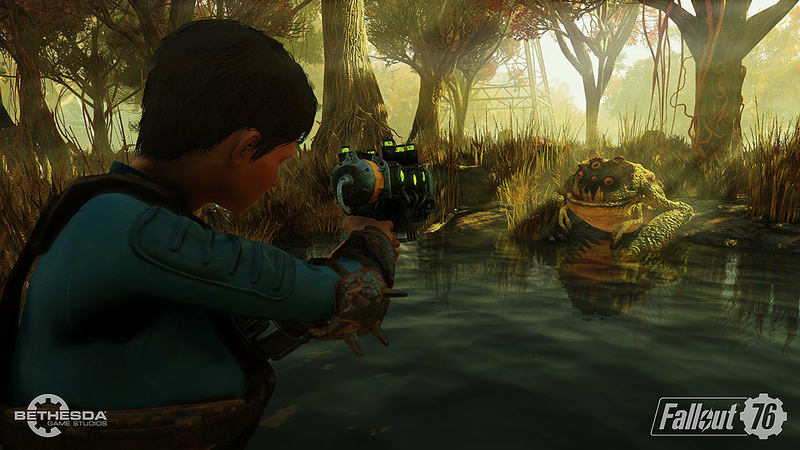 From the award-winning creators of Skyrim and Fallout 4, Bethesda Game Studios presents Fallout 76. 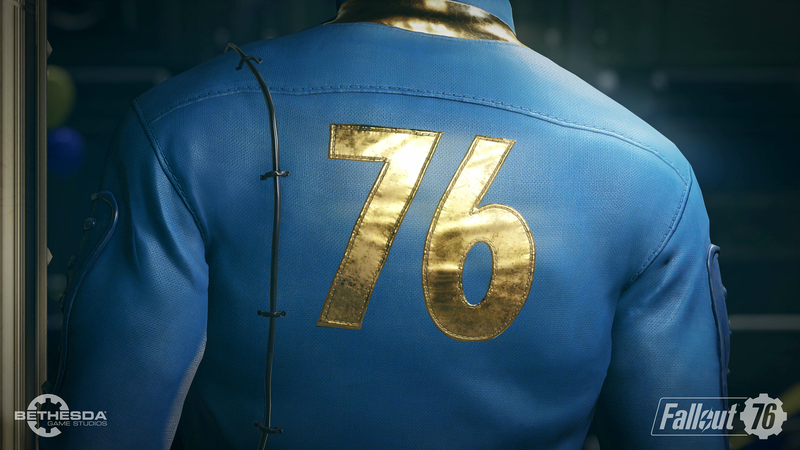 It’s 25 years after the nuclear-war caused devastation in the States and Vault 76 is finally ready to open. 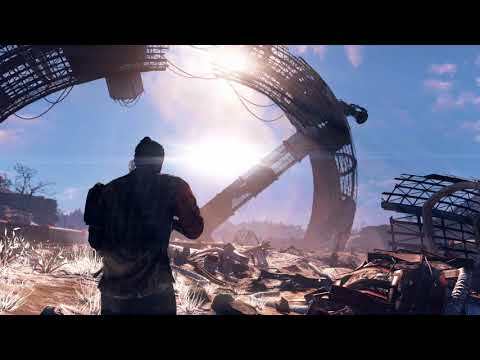 You were selected along with a few others to rebuild society and its now Reclamation Day. 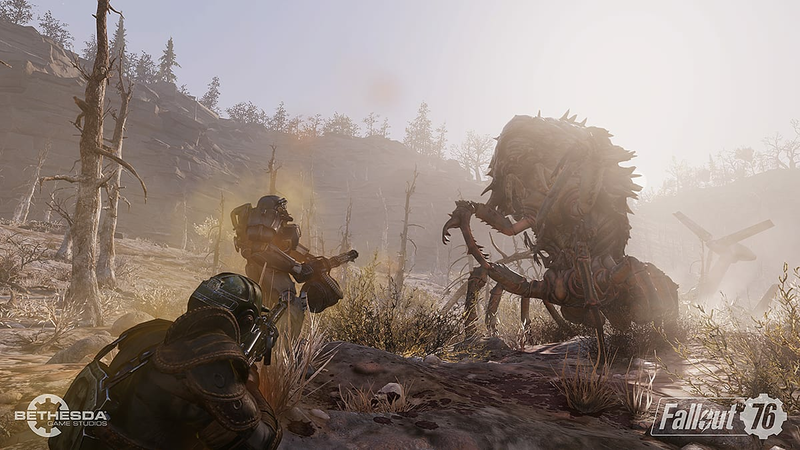 Emerge into the post-nuclear war lands of West Virginia as you go alone or team up to explore the most dynamic Fallout world yet. You must rebuild walls, buildings, and the hopes of civilians as you survive in this dynamic open-world. 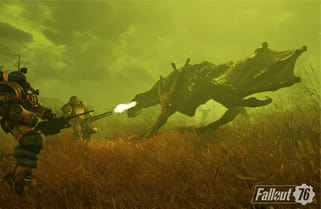 It’s Reclamation Day and you are the future. 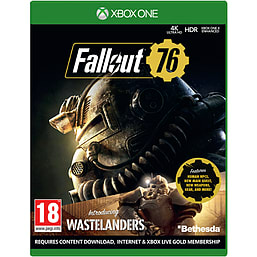 Buy Fallout 76 on Xbox One today. 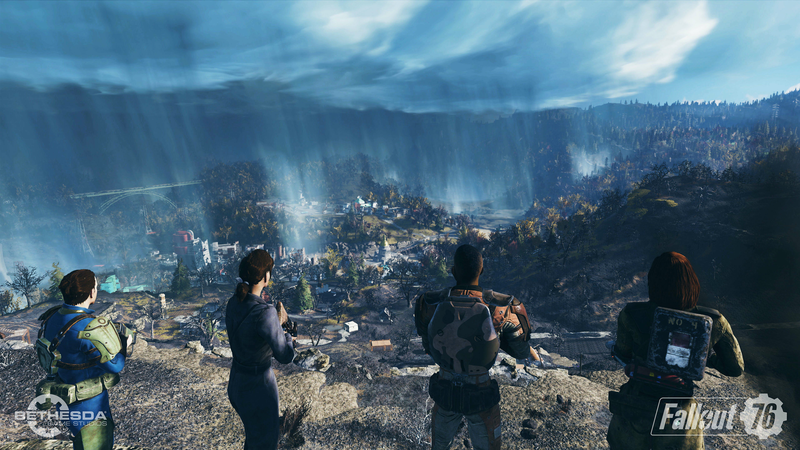 It’s twenty-five years after the nuclear-war caused mass destruction to West Virginia, leaving no hope for survival. However, you and your fellow Vault-Dwellers were chosen to be the nation’s best hope for rebuilding society. 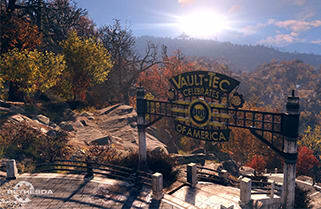 Vault 76 opens and it’s your time to emerge into the post-nuclear lands of West Virginia. 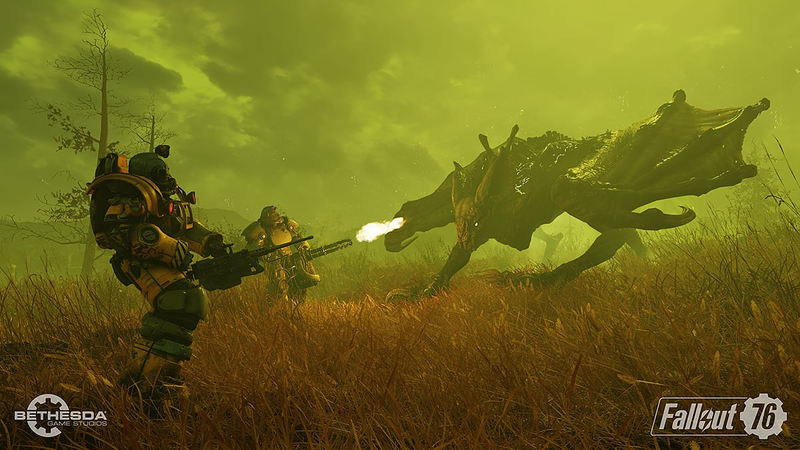 It’s all about survival – go alone, or team up with friends in this epic Fallout adventure. 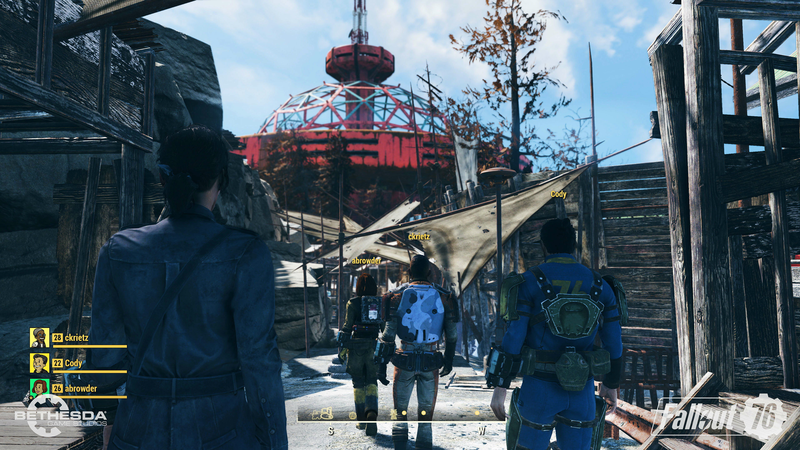 For the first time, Bethesda Game Studios have introduced multiplayer to this epic RPG open-world game. 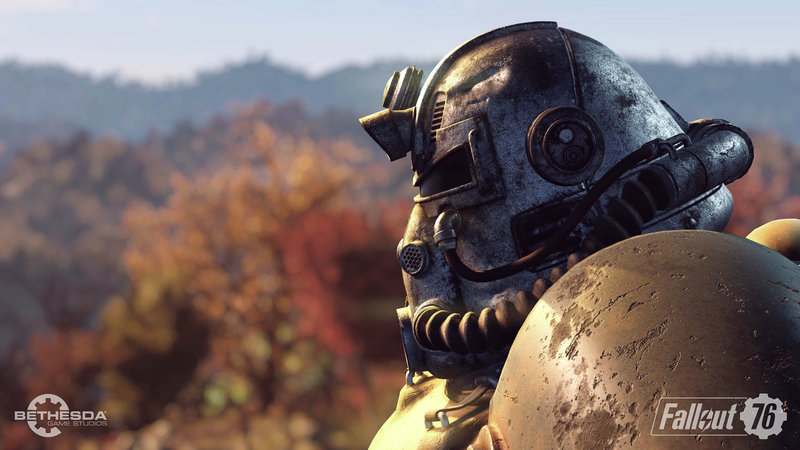 Create your own character with the S.P.E.C.I.A.L system and decide your fate as you set off on an adventure across the untamed wastelands of West Virginia. 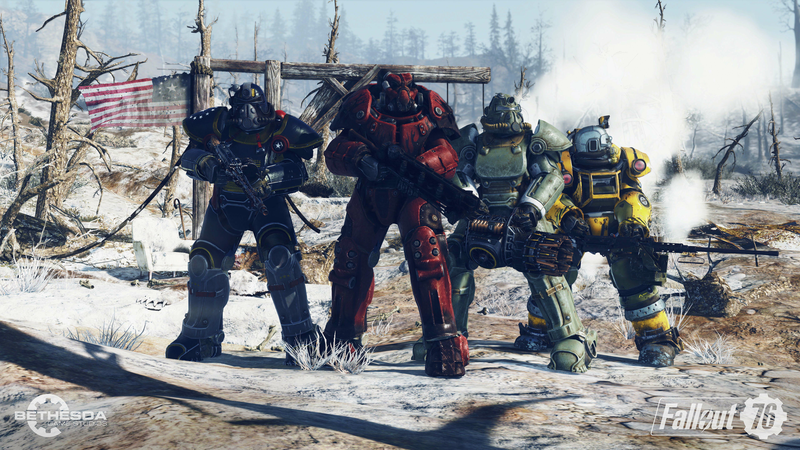 In Fallout 76, the choice is yours: will you team up with friends or go alone? 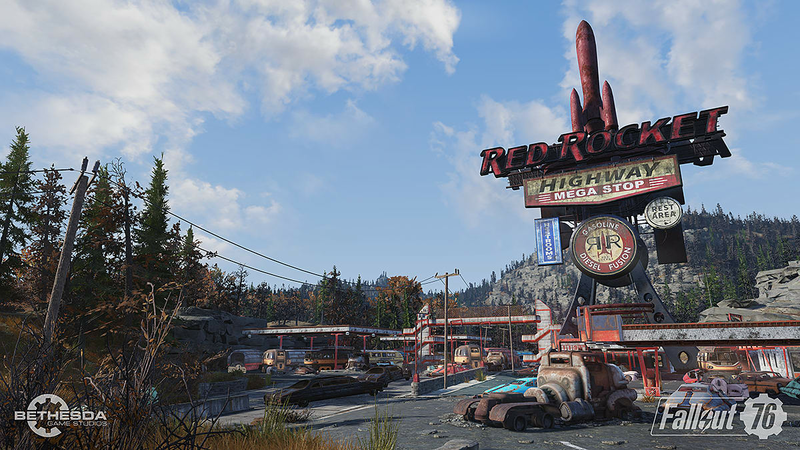 A new Fallout adventure is waiting with six new distinct West Virginia regions for you to explore. Each of these unique regions hosts risks and rewards, are you ready to step into danger? 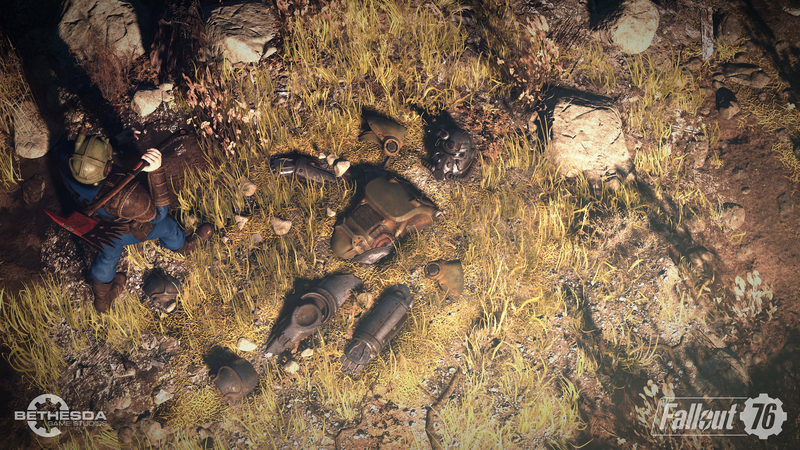 You can now build and craft wherever you want in this Fallout universe. The new Construction and Assembly Mobile Platform (C.A.M.P) provides shelter, valuable supplies and safety. You can even choose to trade with fellow survivors, but not everyone is as friendly as you may think so watch your back. Whether you choose to go alone or team up with fellow survivors, you can unlock the ultimate weapon of mass destruction – Nuclear Missiles. 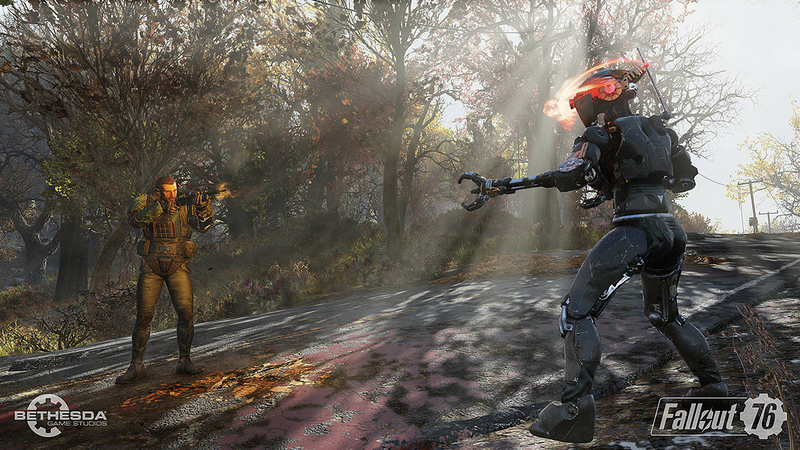 These also create a high-level zone where you can find plenty of rare and valuable resources – will you unleash the power of the Atom? 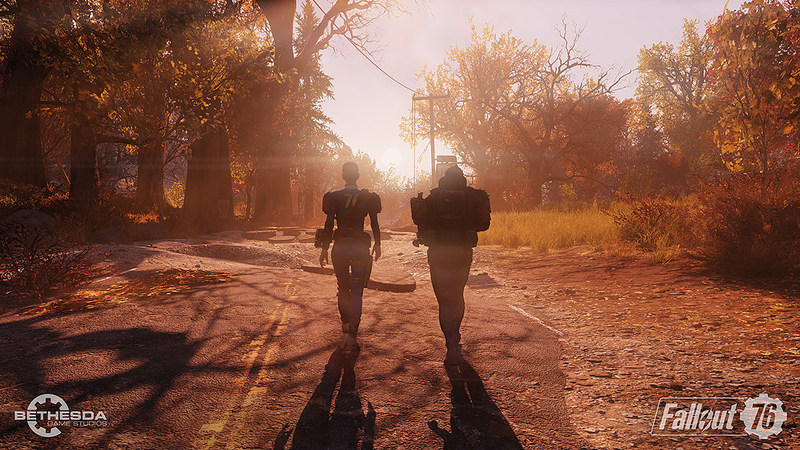 Is Fallout 76 online only? 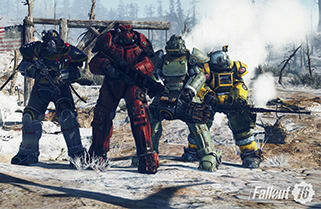 You will require an internet connection and a Xbox Live subscription to play Fallout 76, for both multiplayer and solo mode. Solo mode is available, so you can easily choose to play on your own or team up with friends. 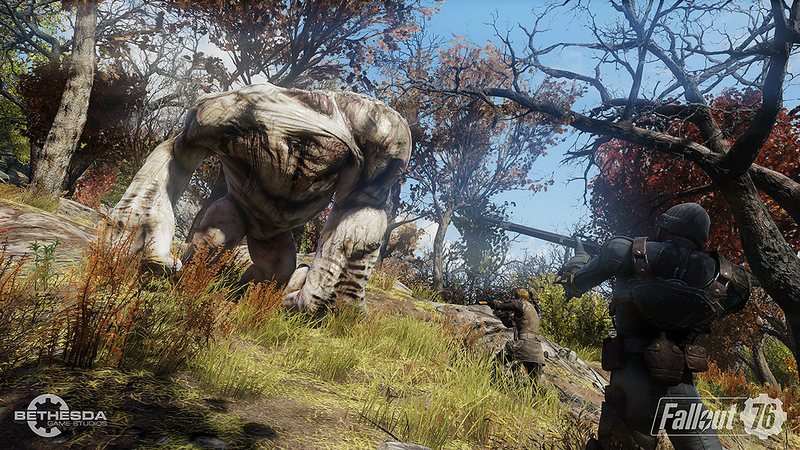 New mutated creatures wander the lands of West Virginia. 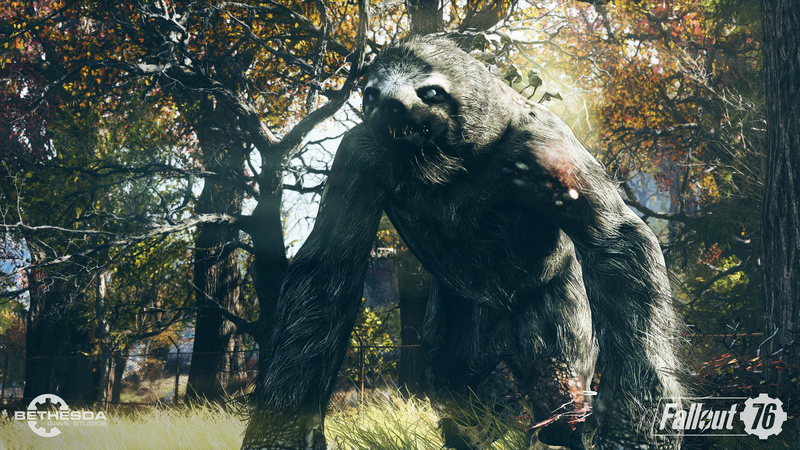 It’s dangerous out there so prepare for the unexpected as you explore new wildlife, new animals and new enemies. 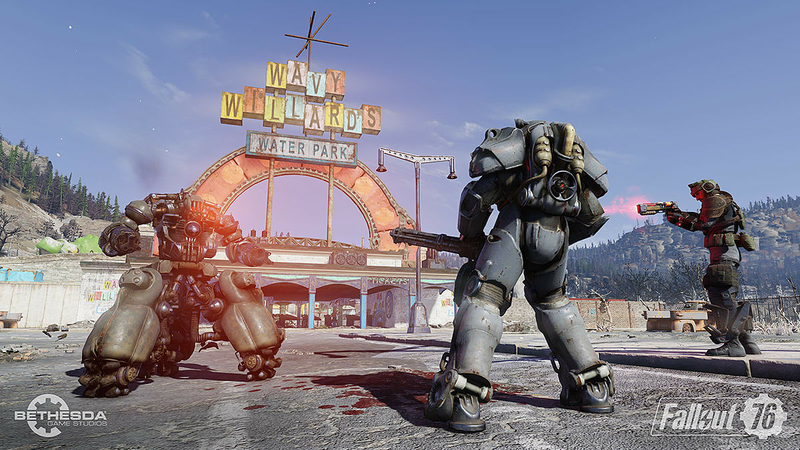 A new Fallout adventure is waiting with six new distinct West Virginia regions for you to explore. Each of these unique regions hosts risks and rewards, are you ready to step into danger? 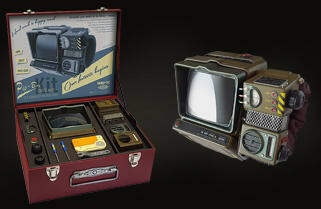 Browse our variety of Fallout merchandise from the Build your own Pip-Boy 2000 Construction Kit to the Nuka Cola T-Shirt and everything else inbetween.